I stumbled upon this beautiful modern mobile home decor while scrolling through Facebook. It was posted on one of my favorite Facebook Groups, I Love Mobile/Manufactured Homes, by one of my favorite fellow mobile home fans, Steven S. He finds some of the most beautiful mobile homes! This home is gonna leave you speechless! The exterior of this single wide is well done but it doesn’t compare to the interior at all! After I clicked the link my chin hit the floor! I think yours will, too! 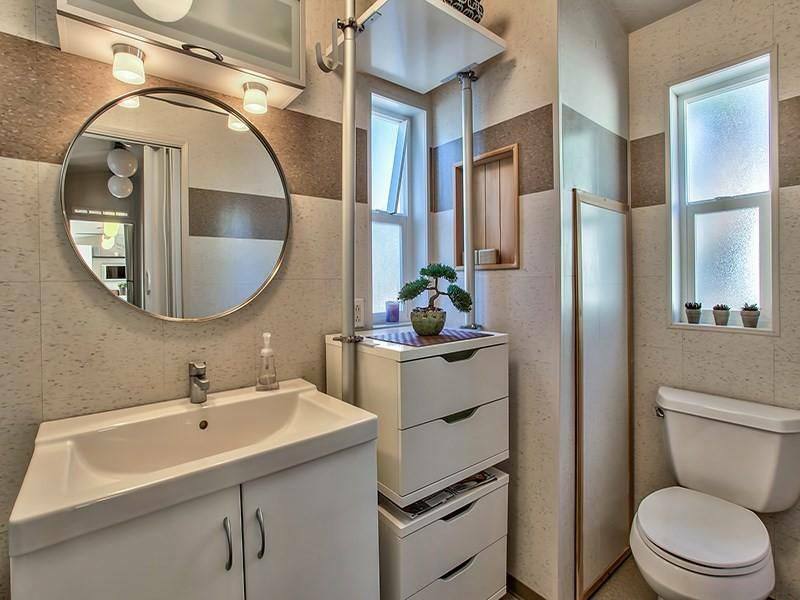 This 1995 single wide has modern mobile home decor ideas that we’ve never seen before. The first unique decor idea is the lighting ‘strip’ that runs down the middle of the ceiling. The strip is likely made of a thin wood with slight walls that are just high enough to hide the chords required for all the various light fixtures. It also pulls all the lights together to create cohesion. It’s a great way to add overhead lighting into a room without needing to disturb the ceiling too much. Genius! This is what Mobile Home Living is all about! 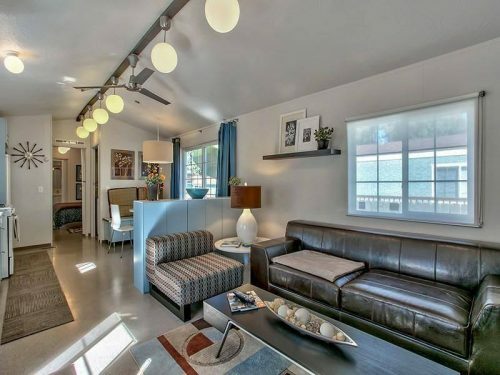 Another uniquely modern mobile home decor idea seen in this single wide is the light flooring. It takes a brave owner to pull off cream flooring! 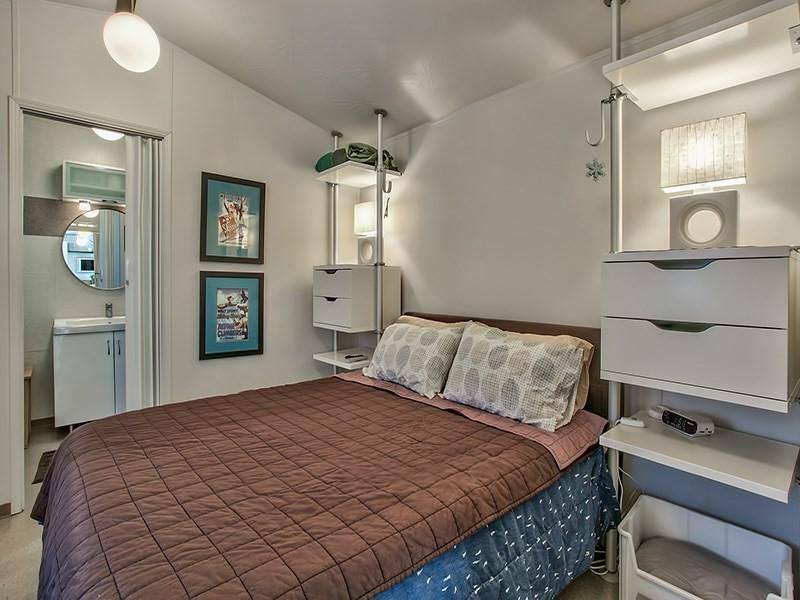 Having the flooring, walls, and ceiling all the same color provides a perfect canvas for modern mobile home decor. This home proves that you can absolutely live in high style with a low budget – it’s priced at less than $70,000. The living room combines great natural textures and colors. 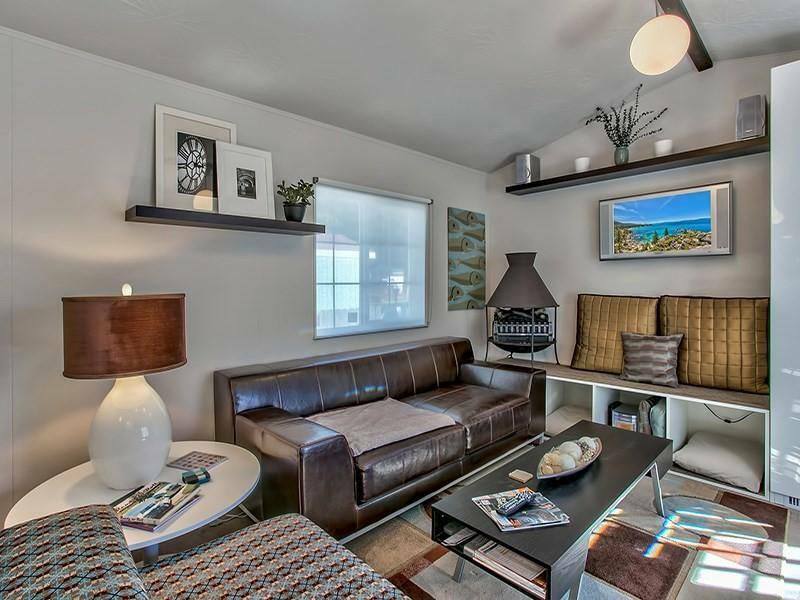 ‘Contemporary mountain chic’ is how the realtor describes this modern mobile home decor and I think they nailed the description! It’s a perfect combination of modern, rustic, and chic. The kitchen is as unique as the living room! 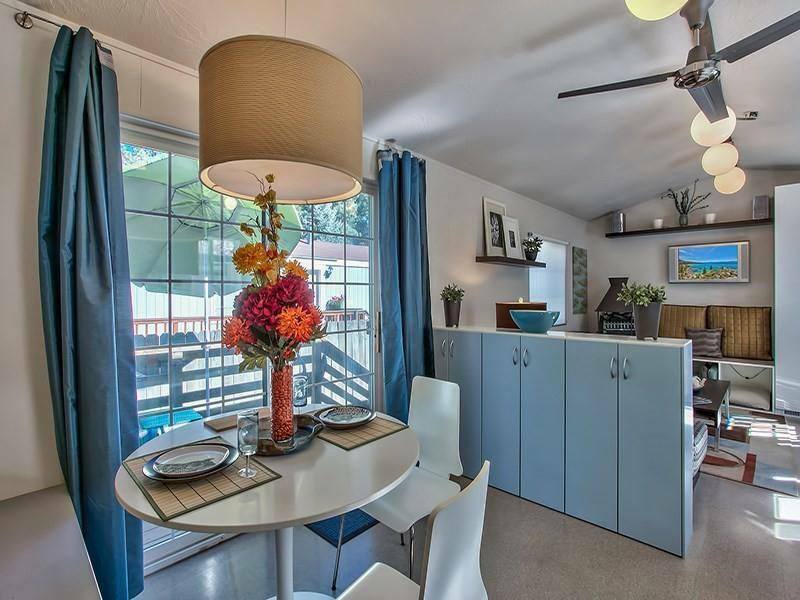 This modern mobile home decor uses a baby blue throughout the main living space and then adds rich browns and soft whites as accents. The Bedrooms and Bathrooms are Just as Awesome! The decorator uses a lot of Ikea products and inspirations to give the bedroom tons of smart storage space. You can never have enough storage in a home with less than 1000 sq ft of living space! If you can’t go out with storage, go up! 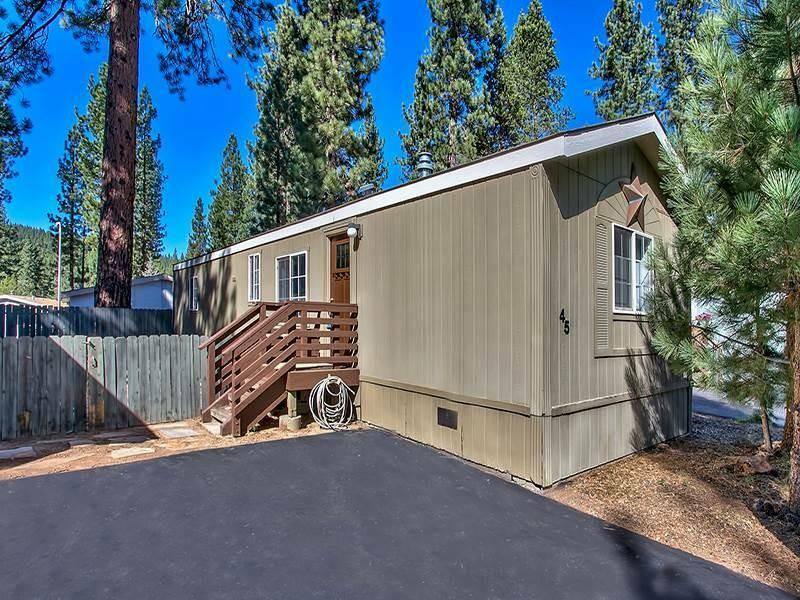 This single wide is a 2 bedroom and 2 bath manufactured home in Truckee, CA. 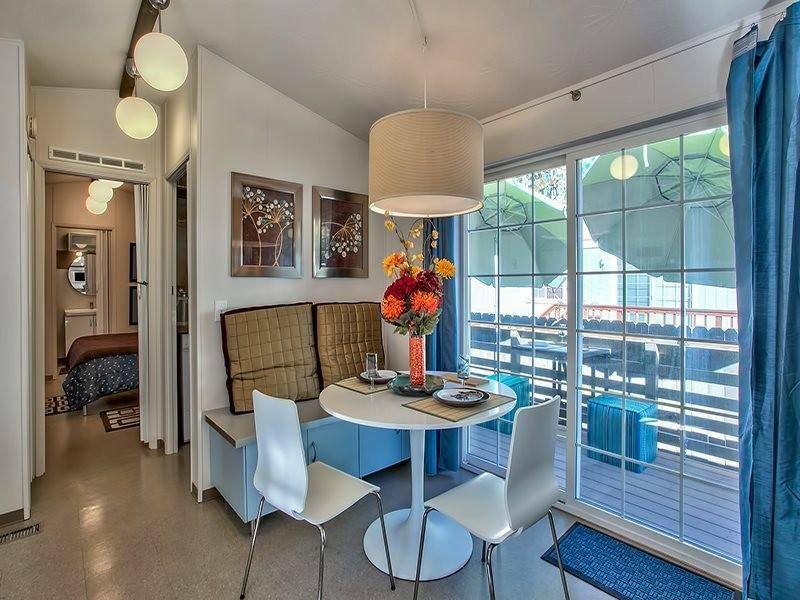 With 924 square feet of living space it is perfect for a couple or small family. Opportunity is knocking! Contemporary Mountain CHIC at it’s BEST! You will recognize the value the minute you step through the doors of this fantastic home. 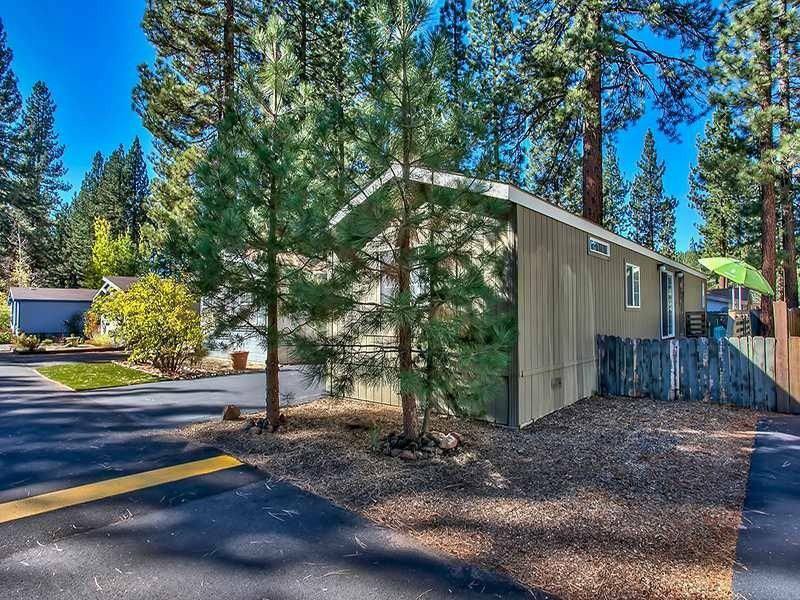 Easy floor plan, well appointed for you to make the most of mountain living. 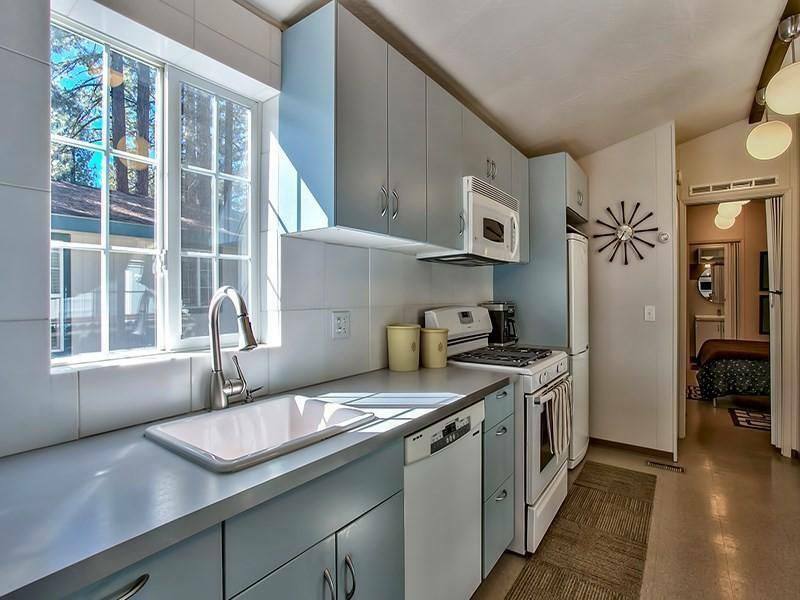 Light and bright 2 bedrooms with 2 bath on opposite ends of the home to experience additional privacy. Gather in the middle sharing a nice meal or to simply entertain. Move with the sun back deck set up for outdoor dining or enjoy gathering in the front yard around the “fire”. 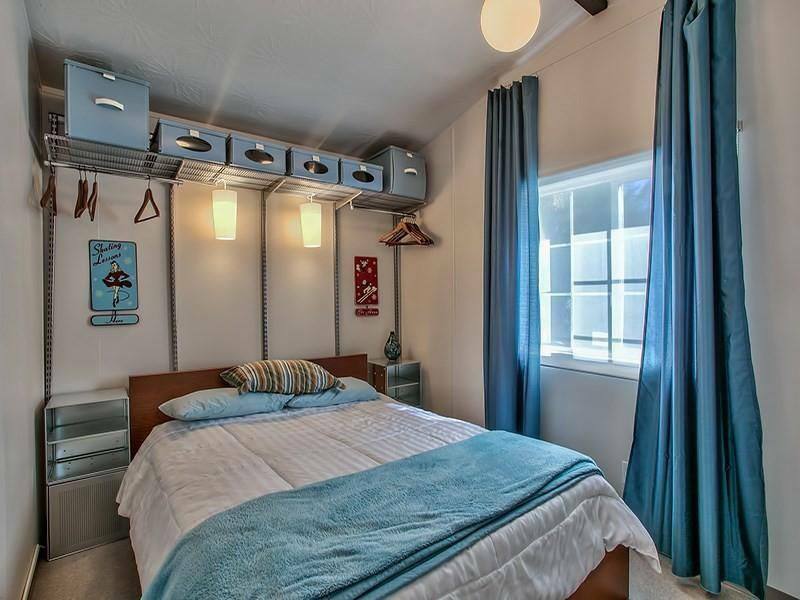 This modern mobile home decor has really inspired me and given me some great ideas. I hope it’s done the same for you! Thanks Steven for sharing this gorgeous home! the bath looks like it is paneled in linoleum squares and looks great. Never have seen that done before. It is so gorgeous! Thank you for sharing. I just bought my first one went from a 4 bedroom home and to downsize to 2 x 2 my children will be leaving soon. I had a long porch down to the ground built I like being outdoors. Now I am going to start on the inside slowly. Nice. Is that commercial flooring tiles on the bathroom wall???? I’m not sure Steve. I tried to email the realtor to see if I could get in contact with the owner or whoever designed this remodel but haven’t heard anything yet.